Health Canada is warning about a banned pesticide sold online, but U.S. border stores are also a popular destination for Canadians seeking lush lawns. Health Canada has issued its first-ever advisory about buying pesticides online. The federal government department was alerted by the American Environmental Protection Agency that 550 Canadians have bought a product from China called Fast Ant Bait, which contains the banned chemical mirex. The David Suzuki Foundation released a report this week comparing the six provinces that have bans on the cosmetic use of pesticides. What the foundation's study reveals is that Ontario and Nova Scotia have the strongest rules when it comes to what you can spray on your lawn and garden. And though Quebec was the first province in the country to enact a ban on garden products, it has fallen behind in the regulatory race. The four provinces without bans — B.C., Saskatchewan, Manitoba and Newfoundland and Labrador — do not appear in the report. "They don't necessarily know what product it is that they are buying. They don't know where it comes from and there are no assurances that what they have purchased is appropriately labelled or they have appropriate instructions for use," says Jenifer Collette, a senior policy adviser at Health Canada's Pest Management Regulatory Agency. It's not just the federal government that has rules about pesticides and herbicides. Ottawa regulates toxic chemicals that are often used in the products. Six Canadian provinces go further and have their own bans on the cosmetic use of garden products, with Ontario's being the strictest. But for some Canadians, a pest- and weed-free home and garden seems to be a bigger concern than health warnings and the threat of fines. To get around the rules, some Canadians are making day-trips to the United States to take advantage of the strong Canadian dollar and weaker American regulations around pesticides and herbicides. Ma Wood, manager of Agway, an American farm supply store in Ogdensburg, N.Y., said Canadians buying pesticides to take home are a common occurrence at her outlet. Ogdensburg is due south from Ottawa and just across the border from Prescott. "They just said there are certain things they can't buy at home and they wanted to buy it and take it back," said Wood, recalling two recent Canadian customers buying pesticides. Dave Bagnall, the manager at the Lowes hardware store in Ogdensburg, says he has a huge number of Canadian customers. He lets the customers know about the rules regarding chemicals in Canada, but he says that doesn't stop them from buying. "I think most of the customers who come over from Canada already know. They pretty much know the rules," Bagnall told the CBC. 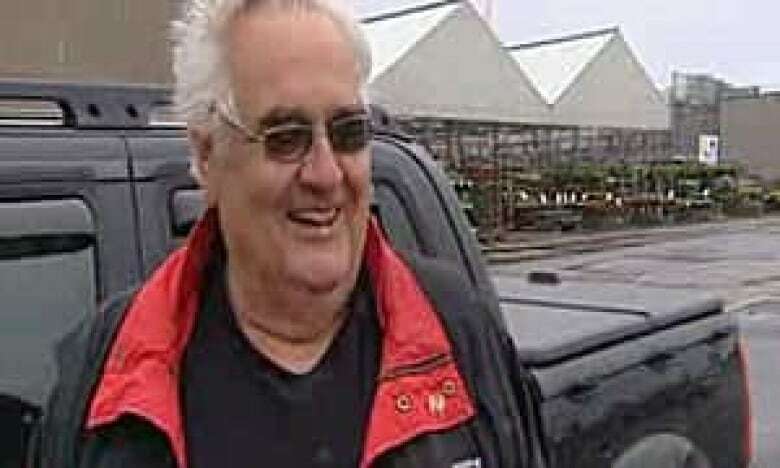 Sure enough, out in the parking lot of the very same Lowes, William Mallette of Brockville, Ont., was just finishing a bi-weekly shopping trip to the U.S. Mallette admitted to buying banned chemicals for his yard. He uses herbicides to kill weeds around the border of his lawn, applying them at night when no one can see him. "I'm not the only one that buys stuff like that over here. There's a lot of people. They smuggle it back just like anybody else," defended Mallette. "I know it's against the law. I could be fined," said Mallette. But it doesn't seem to bother him. "If I get caught. I get caught," he laughs.